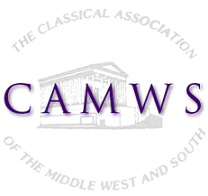 CAMWS is seeking a member skilled in podcastingand interested in creating podcasts for the organization based upon the growing number of CAMWSCorps interviews of CAMWS members. See camws.org/camwscorps for more information about this project. The CAMWS podcaster would be, ex officio, a member of the History Committee but would also receive renumeration at an hourly rate for podcasts produced.